Madlax Girls Lacrosse Program is offering the following winter 2018-19 clinics OPEN TO ALL GIRLS FROM ALL CLUBS< TEAMS AND PROGRAMS! The very best and most experienced Madlax Girls All-Star team coaches will run these clinics. Registration is OPEN NOW!!! GIRLS ADVANCED SKILLS & CONCEPTS. 3rd-9th graders. Intermediate to Advanced Level. 3 or more seasons of experience. 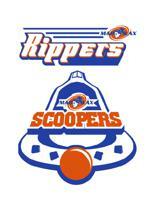 SCOOPERS & RIPPERS. PreK-4th graders. Beginner to Intermediate Level. 0-2 seasons of experience. GOALIES. 3rd-10th graders. Beginner to Advanced Level. 9 players MAX! For details on these clinics please read below or email the Girls Program Director, Aubrey Whittier, HERE. Details: 3rd-9th grade. Intermediate to Advanced Girls Only. After properly being warmed up we will go into 60 minutes of lacrosse skills and concepts. We will teach the skills required to play at the highest level, instituting good habits and creating an environment of growth and competition. The clinic will teach proper cradling and stick protection plus advanced catching and throwing techniques. We will compete 1v1s, 2v2s, and also player-up and down situations. Players will learn the foundations to zone and backer defenses and more! Our experienced Madlax All-Stars coaches will ensure safety in this clinic and be sure to match size accordingly. This clinic will definitely fill up fast so be sure to register soon. Details: Generally for PK-3rd grade girls with 0-3 seasons of experience: Beginners in Scoopers; 1st-4th grade intermediate, 1-2 seasons experience in Rippers. This clinic teaches the fundamentals of lacrosse; scooping, catching, passing, shooting, defense in a fun atmosphere. Outstanding Madlax All-Stars coaches will run drills and play games that emphasize proper technique. We want to be sure that all the campers have a memorable and positive experience with the sport so they start to build a passion for the game. Our experienced coaches will ensure safety in this clinic and be sure to match size accordingly. We will evaluate players the first day and group and place accordingly if neccessary. This clinic will definitely fill up fast so be sure to register soon. Click logo to register! Space is limited! Equipment: Full goalie pads and protection required (throat guard, chest pad, helmet, stick, mouthguard. Thigh & shin pads are optional). Also please wear only basketball or training or turf shoes. No cleats. All lacrosse apparel and equipment is found conveniently at Madlax in McLean or in our online store at www.Madlax.com/shop. Description: This is a specialty clinic for a player wishing to become a complete and dominant goaltender for his/her age. The goalie position is the most important position on the field. A dominant goalie will win games for his/her team! This proven goalie teaching method will enable goalies to learn techniques that will improve anticipation, quickness, confidence and leadership in the goal and on the field. This clinic will definitely fill up fast so be sure to register soon.